cut lace in different patterns. use it in a peek-a-boo fashion. Loving your card and the zingy colours of your paper ! How absolutely stunning. I love the peep of lace-effect paper showing through the top panel, and the butterflies are a perfect finishing touch. Nicely done! Wow - the colour is fabulous and I love your peek-a-boo design. Dowsers! This is a beauty, Kimberly! That is lovely! What a great idea to use that paper this way. Totally have to case this. 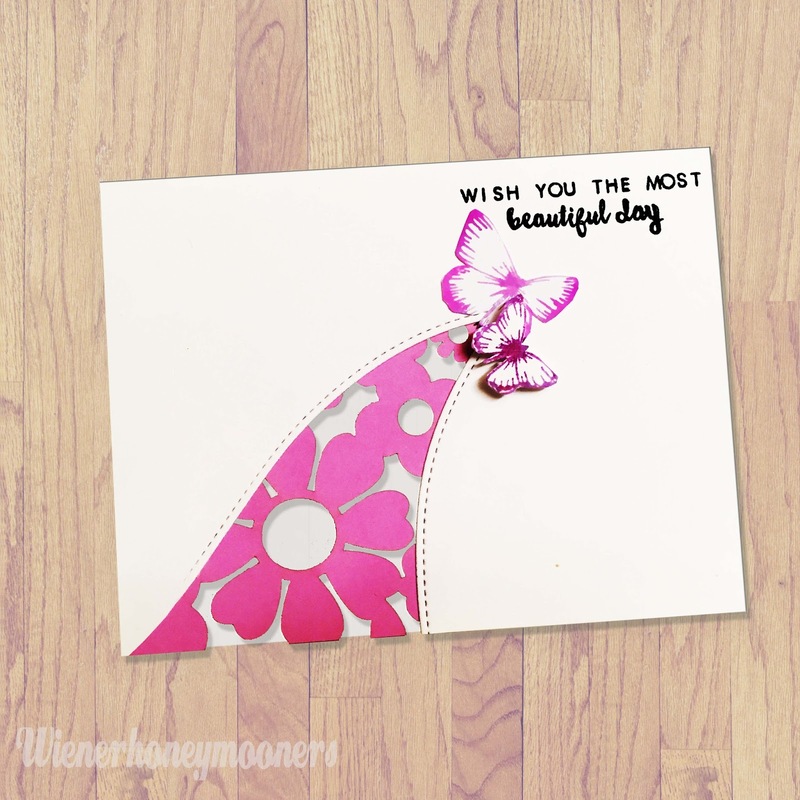 This is so beautiful...just love your sweet elegant card. amazing design my friend, super wow! Loved this from the minute I saw it over on Facebook! So effective, Kimberly, I love everything about it. That paper pad looks amazing too, another thing to add to my wishlist! Wow, what beautiful paper...and a bargain too! Great design. Thanks for sharing at Less is More! This looks fabulous, I never quite managed to find a Joann's on my last visit to the US..maybe next January!